Description: Step back in time with a traditional glass, fit and finish. Reminiscent of lighting fixtures from the early 1900s, the Clear Textured Revival glass shade offers an authentic historic look to complement any room or space. 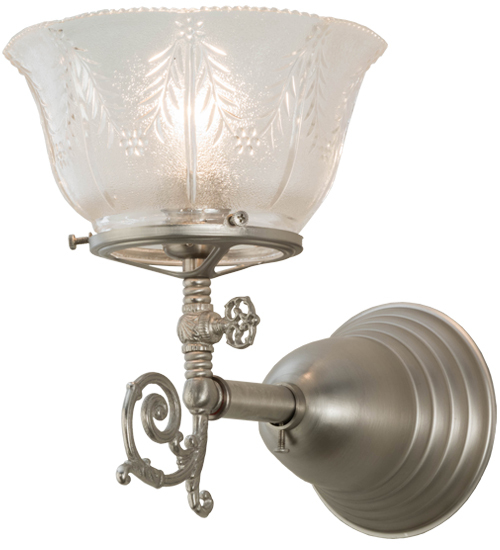 Brushed Nickel finished hardware and accents make this piece a timeless treasure. The fixture is handcrafted by Meyda artisans in Yorkville, New York in the USA.